The Bishop Union High School Junior Varsity will take to John Schwab Field today, Friday September 25th. A 4pm kickoff is set as the Broncos battle the Boron Bobcats. The Bishop varsity has a bye this week and will return to action next week at Paraclete. Boron’s varsity team is on the road tonight taking on Riverside Prep. The Broncos and Bobcats have not played since the 2010 CIF championship game. Bishop came out on top claiming the northeast division championship. Bishop did travel to Boron this preseason for a scrimmage, but the two teams have not met in a meaningful game since the 2010 title game. Today’s junior Varsity match will feature two teams hungry for their first win. Both Bishop Union and Boron enter with 0-3 records. There will be no charge to attend today’s game with kickoff set to begin at 4pm at Bishop Union High Schools John Schwab Field. The Bronco JV have lost their first three games falling to Carson City, Yerington, and Vasquez. The Bronco JV fell 36-30 at Vasquez a week ago. Photographer Lorenzo Parra provided the following shots from Vasquez. Freshman Guard #58 Jarid Alpers. left to right, Sophomore linebacker Christian Landaverde, freshman cornerback Troy Erickson, and freshman free safety #21 Mark Mayhugh. #18 Freshman Hunter Beall blocks for Freshman receiver #10 Arturo Lemus. sophomore receiver #22 Chad Reeves, #58 Jarid Alpers. Sophomore #4 Trace Sapp with #22 Chad Reeves blocking. Listen to today’s featured news broadcast brought to you by Proud Heritage Sponsor, Alta One Federal Credit Union. The Toggery presents the Wrangler Wrap-Up at the end of every game! The Toggery, your style, your store! 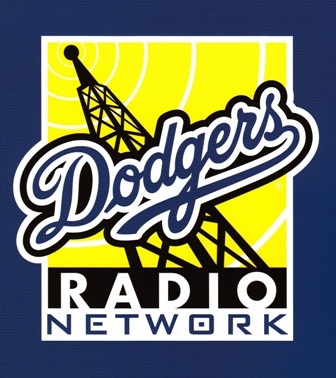 Bishop Broncos & the Los Angeles Dodgers on the air!